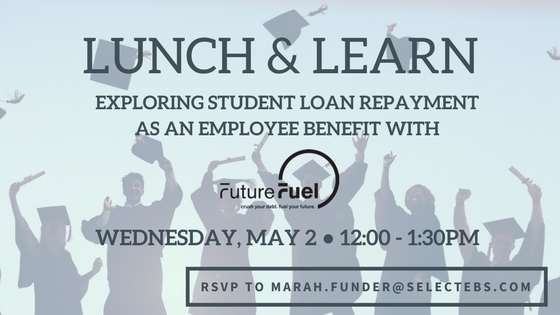 If you like what you’re about to read and are debating whether a student loan assistance program might be a good choice for your company, be sure to reserve your seat for our upcoming Lunch and Learn on May 2nd, “Student Loan Benefit Programs with FutureFuel.io,” where you can meet Laurel in person and continue this discussion. Seventy percent of today’s emerging workforce, roughly 44.2 million Americans, are saddled with student loan debt, according to the New York Federal Reserve. And even though employees aren’t staying at companies as long as they used to, employers of all shapes and sizes are faced with the same problem – attracting, hiring and keeping the best talent. If you’re reading this article, it means you’ve most likely been around the block lately with new ideas about how to make your employee benefits package the most competitive as possible. Maybe you’ve even worked with your broker to explore ways to include corporate wellness programs or flirted with new software solutions that make for a more technology-friendly environment, all to create a better benefits plan design that’s more attractive to top talent. But have you considered offering student loan assistance? According to a recent report, a whopping 86% of employees would work for you for five years if you helped pay down their student loans. Due to its increasing job seeker demand and amplified value for both employers and their teams, student loan assistance is becoming a popular employee benefit. I recently gave a talk with the team at EBS on how they can help the employers they work with implement student loan repayment assistance programs. Today, I’m sharing four reasons why companies are helping employees ease the burden of their student loans. When employees attend college, they don’t necessarily consider how the student loans they took out will affect them in the future. Thing is, most of those who have student loan debt owe tens of thousands of dollars. The average student loan debt is $37,172 for graduates of the Class of 2016, according to Make Lemonade. Many owe more than $100,000, with more than 2 million student loan borrowers having debts topping this number, and 415,000 of that total holding student loan debt greater than $200,000. Although these numbers are startling, they only tell the collective story. Think about how student loan debt affects individual employees on a daily basis as an added life stressor. When these kinds of debts affect you– or the employees you serve– things feel real, and they feel scary, which can have a significant influence on their everyday emotions. Employers are now recognizing that they have the opportunity to help employees offset this debt as a way of cultivating more productive work environments. I’ve seen many friends make their life decisions because of their student debt. This heavy financial responsibility influences what vacations they take, whether they stay in high-paying jobs they hate or search for new ones that better fulfill and stimulate them mentally and creatively, and whether they get married and start families. Not only does this debt influence their choices, but it’s also often a source of anxiety and stress. People who have staggering student loan debts live in the shadow of it. It touches every area of their lives, which makes perfect sense. After all, if you know you have a $500 payment to make each month, you’re unlikely to quit your job to start your own business, buy a home, or take on other risky opportunities. Did you know that the average employee spends three hours per week on financial distractions? And I’ve seen employees spending much more, on managing their student loan payments. For example, one of our FutureFuel.io users has 22 different distinct payments they have to make every month. Imagine how much stress he endures on a weekly, monthly and yearly basis managing them and how much they take away from his ability to be productive. 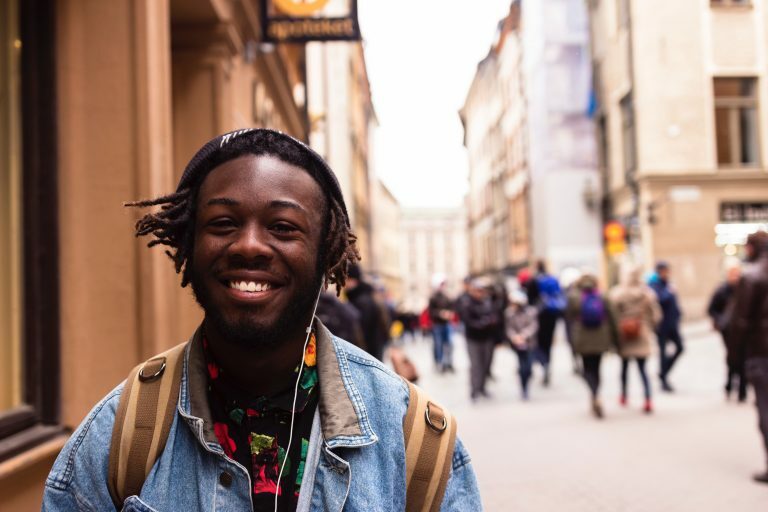 Employers who offer student loan repayment employee benefits help free up those 12 hours per month and 144 hours per year that professionals spend on this financial stressor, allowing for increased employee productivity and positive, emotional well-being. At FutureFuel.io, we want to enable employers to build a healthy employee population where they’re not competing for mind share. Using student loan program software solutions, employees can log in to a platform, consolidate their payments, receive a contribution from their employer, and refinance their loans. They can click a button and have the technology and algorithms pay their loans more intelligently than even they would, so they just don’t have to think about it anymore. disinterested or feel unchallenged after a year and a half on the job. In fact, each employee that leaves costs a business roughly 6-9 months of their salary, according to studies by SHRM. Someone making $60,000 per year costs their employer $30,000 to $45,000 when they leave. That’s likely why 78% of employers rank employee retention as important or urgent in priority. Student loan assistance programs can kick in based on a vesting schedule, and we’ve found that this is a great way to improve employee retention. For example, a new employee might get $100 each month towards student debt repayment, and gain an additional $100 per month for each year that they stay at the company. If the employee then stays three years, a whopping $300 of their student loans will be covered each month. That’s a pretty big incentive to stick around. retention as important or urgent in priority. At FutureFuel.io, we help employers offset student debt by enabling employers to give a subsidy to their employees, which helps takes the burden off of monthly payments. Not only do we provide a platform for employer assistance, but we also offer options for refinancing and making payments. subsidy, refinancing, and payment solutions; some also offer a payment portal where loans can be consolidated and paid from one dashboard. competitive employee options; In the FutureFuel.io marketplace, dozens of lenders compete to refinance employees’ student loans in real time, with no impact on credit scores. More choices mean more savings for the employee. measurable engagement and ROI; with the ease of a software platform, you can track the impact of your investment through added employee engagement and retention which often leads to significant cost savings (ex. lower recruiting costs, fewer empty seats, and added productivity). Laurel Taylor is the Founder and CEO of FutureFuel.io, connecting students and growing professionals with top employers offering meaningful student debt repayment. She is the 2018 SXSW Accelerator Pitch Payment and FinTech Event Winner and has been featured on CNBC.